Why is Reeves Volkswagen the Best Tampa VW Dealer Near You? What Makes Reeves Volkswagen the Best Volkswagen Dealer Near You? If you’ve found your way here, it’s likely because you popped “Volkswagen dealer near you”, and now here you are. You’re in luck. You’ve not only found a Volkswagen dealer near you, but you’ve found the best – Reeves Volkswagen. 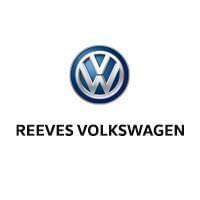 So what makes Reeves the best Volkswagen dealer near you? The reasons are many, but here are a few our customers seem to bring up the most. As part of the Reeves family of auto dealers, we deliver nearly fifty years of experience. Ever since we opened our doors, we’ve been hailed as the top Volkswagen dealer near you when it comes to offering the highest degree of expertise and experience. With so many great Volkswagen models and trim packages to choose from, you need to have the opportunity to see them all and find the perfect one for you. Whether you’re looking for a Jetta, Passat, Golf, Atlas, or any other model, you’ll find it at Reeves. Nothing dampens your fun like a breakdown. At Reeves Volkswagen of Tampa, we offer the fastest, most dependable Volkswagen service in Tampa or beyond so that you can get back on the road fast. Between our expert technicians and streamlined service processes, you’ll enjoy a convenient, dependable service experience like no other. At Reeves Volkswagen of Tampa, we’re constantly adding to our list of Volkswagen specials. Whether you’re buying or leasing, need maintenance or repairs, or are looking for a great deal on parts or accessories, we have the outstanding Volkswagen specials you’re looking for. Contact us to see what’s on sale now. Ready to hit the road? Visit Reeves Volkswagen of Tampa today and you’ll quickly see why we’re considered the best Volkswagen dealer near you. Between our expertise, service, selection, and specials, we offer more. 0 comment(s) so far on What Makes Reeves Volkswagen the Best Volkswagen Dealer Near You?